Duncan Leitch exposes the unexpected consequences of international aid for post-communist transitions. 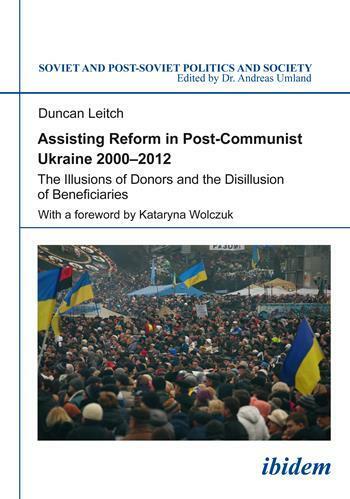 Examining the efforts to reform relations between Kiev and the regions of Ukraine, Duncan Leitch explores how and why fiscal decentralization and regional policy programs initiated by the Ukrainian government and supported by the Western donor community failed to achieve a sustainable outcome. Drawing on concepts from institutional theory, comparative politics, and development studies, Leitch explains the complex interactions between external donors and the domestic recipients of their advice. His findings shed light on the narrow circumstances under which short-term success can be achieved, but also point towards the failings of the donor community to lay the groundwork for lasting reform. A valuable resource for anyone working in the development sector in Eastern Europe or beyond, this book provides a new outlook on the political realities of the reform process, the relevance of international advice, and the domestic pressures leading to the Maidan uprising of 2013.